Lie #1: Friendly churches grow. Declining churches often marvel at how many visitors show up once and don’t return. “But we’re so friendly!” Like most lies we tell ourselves, this one has a grain of truth in it: a visitor who gets a friendly greeting is more likely to return. But most church consultants know that the more vehemently leaders say their church is friendly, the more likely it will feel quite cold to visitors. When people say, “Our church is friendly,” generally they mean “My friends are here.” Visitors to “friendly” churches see the backs of people’s heads—heads gathered into tight, impenetrable groups of friends. Churches that excel at hospitality are more apt to give themselves a B+ or C– in the friendliness department—and appreciate that hospitality takes effort. 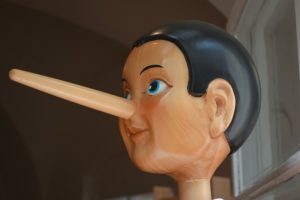 Lie #2: Growth is not about numbers. I have looked at lots of numbers over twenty years as a consultant. One of the consistent patterns is that churches are more diligent about keeping records of attendance, membership, and giving when the numbers rise than when they fall. In periods of decline, clergy and lay leaders say, “We don’t play the numbers game,” and “We are interested in quality, not quantity.” These attitudes are comforting and vaguely spiritual-sounding, but if what you are doing is worthwhile for 50 people, why wouldn’t it be twice as good to do it for 100? We pay attention to the things we measure, and a congregation that does not keep and regularly read and talk about its numbers is not likely to do what it must to keep those numbers healthy. Lie #3: Our children are our future. I first heard this one in the 1980s, when I served a church in southeast Florida, where lots of churches had big, empty education wings. In that context, churches could thrive for decades without attracting families with children, thanks to an endless supply of new old people. Even in communities with lots of children, the chief benefit of having a strong young people’s ministry is not because “our” children will grow up to join “our” church. How many adult members of your church grew up in your Sunday school? Thanks to mobility, intermarriage, and competition from new congregations, if it’s more than five percent, you’re the exception. Having a strong ministry with youth and children is important for your congregation’s growth, not because your children will grow up to join your church, but because a strong children’s program is the key to attracting your fair share of other people’s children. Congregations grow because they engage people now, not decades in the future. Seating starts to limit congregation size when it’s about 80% full, on average. That means that you have to build a bigger sanctuary or (much cheaper) add a worship service long before long-time members feel uncomfortable. 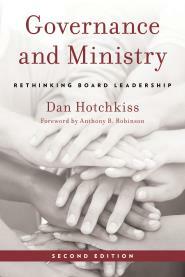 Leadership style revolves around the role of the main clergy leader (you can learn more about this from books by me, by Susan Beaumont, and by Alice Mann). One of the main ways leaders limit growth is to insist that newcomers conform to ways of “joining” that belong to the size the church is now, rather than the size it hopes to become. Did I mention that I wrote a book (see chapter 7)? Parking matters most in suburbs, less in rural towns and bigger cities. Worship style does not mean classical or folk or rock, but whether you plan for an informal family gathering where everybody knows each other (family size: median attendance up to about 100), a facilitated group discussion (pastoral size: 100–250), a professionally-led talent show (multi-celled: 250–400), or a polished all-pro episode of a goal-driven experience (professional size: 400–800 and up). Adult social and program space is critical, especially for churches that aspire to be communities of faith instead of merely audiences. The common practice of building sanctuaries first and leaving social and adult program spaces for the second phase risks building a passive congregation that is vulnerable to losing members when it has a change of clergy. Education space, sadly, is the least important limiting factor for church growth. While parents are far pickier today about where they will leave their children than they used to be, they still tolerate more crowding in the Sunday school than in the pews or parking lot. It is rare to see a sanctuary that has averaged more than 80% of its capacity for more than a couple of years, but many classrooms have been crammed much longer. No one who understands what growth involves would “want” it, in the sense that we “want” pleasure or consumer goods. The only reason a sane person would want a church to grow is because they believe it has something of importance to offer other people. For that goal, some people will accept the hard work, sacrifice, and inconvenience growth requires. Church growth does not proceed from working harder or more diligently at what you are already doing. Growth means doing something new. And the first step toward doing something new is to quit kidding yourself about what you are doing now. What Does Your Building Say to Others?